Recorded from the Islands Hammersmith Odeon show, this concert was broadcast live on Radio 1 in 1984. 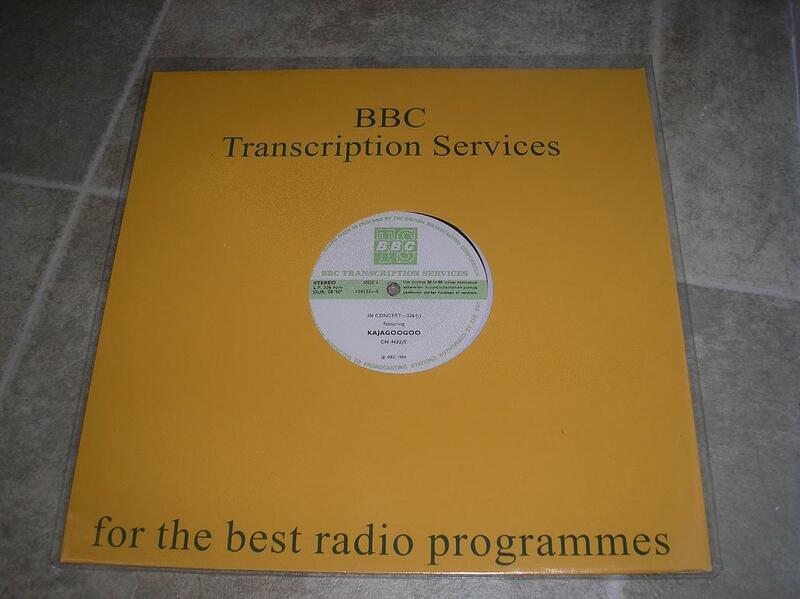 This very rare item is the BBC album of that show, produced for broadcasting purposes only. The introduction to the concert is read by Radio 1’s Richard Skinner. 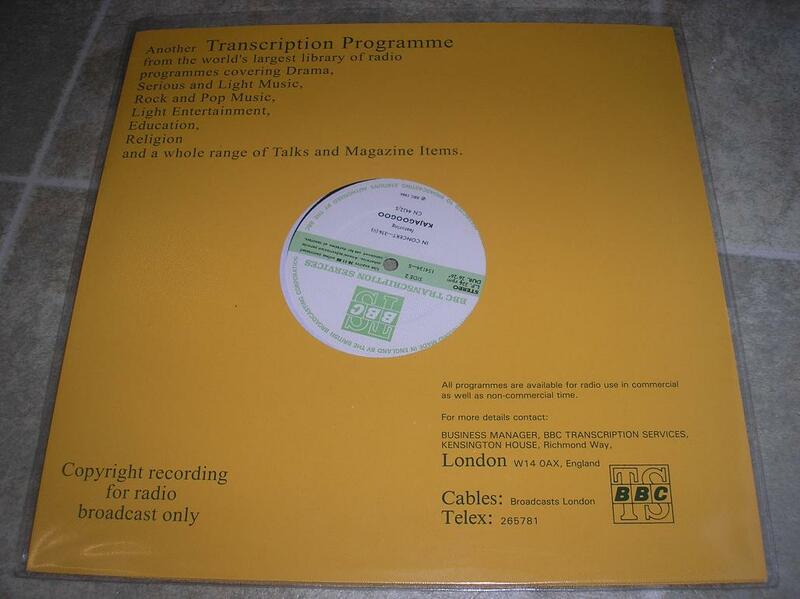 This vinyl belongs to ‘Steve AKA theraggedtiger’. He tells me how he actually recorded this show in 1984 and still has the TDK tape, a little more worn than it started! A couple of years ago this item came up for sale from someone in the US and although the price was rather high, Steve just had to have it in his collection. I’m delighted that he bought it and shared it with KajaFax, it truly is a piece of band history. It’s a pleasure to see such a rare item. I was there but Islands the Tour was a bit of an anticlimax after White Feathers which was just mental. Would love to see footage from Islands. I guess the music must have been a bit of a shock to the fans who were used to White Feathers! I have a feeling that video from that tour is probably lost………..
RaggedTiger-probably just as well, and Steve, the trouble with islands was it was on the whole just too big a leap in many ways. Turn your back on me and Lions Mouth were good tracks but fans didnt need the God thing made so much of, if you see what i mean. Big Apple didnt suffer from the same connotations. Perhaps I am not expressing myself very well because people write music about what is important to them but that subject might not be as important to others and I think you have to leave a certain amount of interpretation to the listener. At the time you couldnt read a kaja interview without hearing about Christianity which personally, being somewhat agnostic, i found a little difficult. I agree Lulu. Having said that, the record buying public of 1983/84 (teenagers) may not have been aware. The interviews did fill in the blanks (so to speak), I have to agree. ‘Rivers’ from Crazy Peoples Right To Speak is the best example of this type of thing. One of my fave tracks from the band, but the lyrics certainly hammer home the message. Of course, by that time, the kids had moved on. I don’t think about it to be honest – it’s just good music. The singles from ‘Islands’ for me anyway, are arguably the best back-to-back single releases from one album by any band. Period. That should have been 3 top 10 hits and career sealed. It’s such a shame that Lions Mouth stalled where it did and that Turn Your Back on Me under performed too. I think that may have been something to do with the fact that it appeared on Now Music 3 at about the same time. Oh dear, I beg to differ on some of the above. 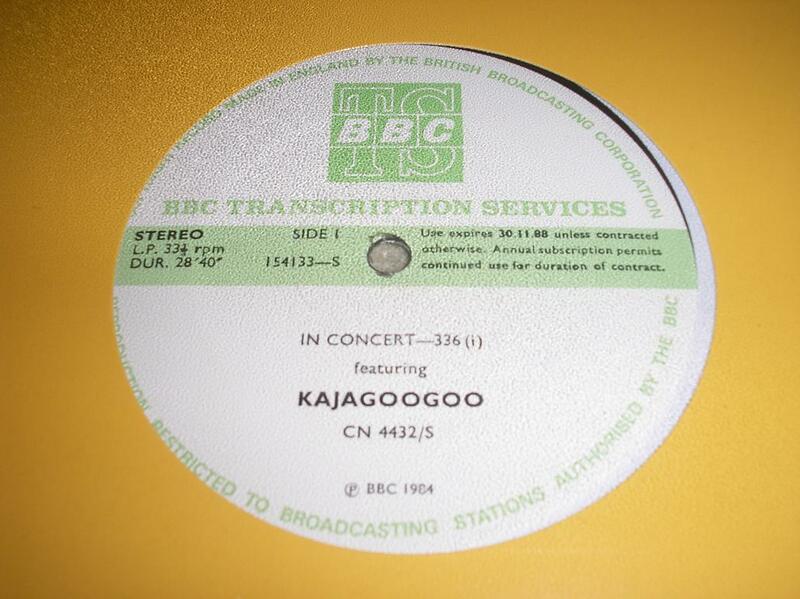 Islands is my favourite KajaGooGoo album by far, such a musical leap from White Feathers in terms of song writing and musicianship. I simply love that album. CPRTS on the other hand is an album that doesn’t sound as good all these years later, not sure why, never been able to put my finger on it, some excellent tracks though!